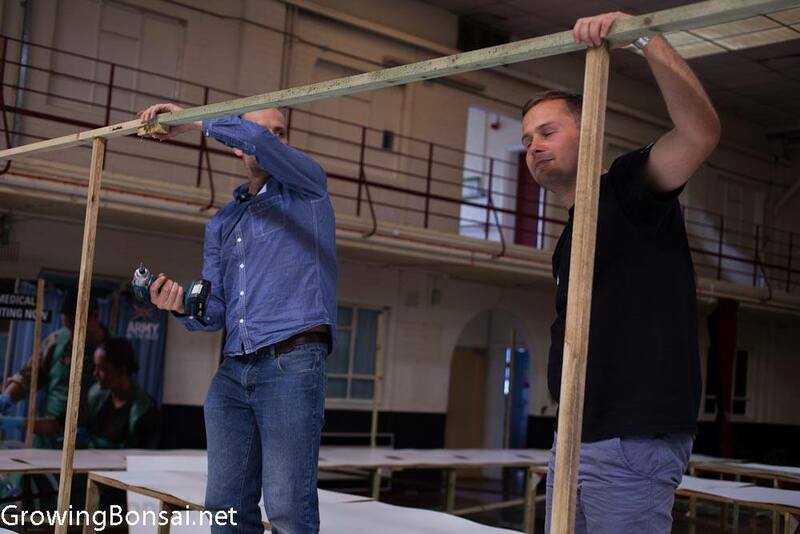 An event the size of Bonsai Europa could not happen without a good team behind the face at the front, I singled out Terry Foster for special praise because without him driving me forward I would never have completed the pre-build of the exhibition staging. All of this was prior the BIG build on Friday 9th October at the venue. 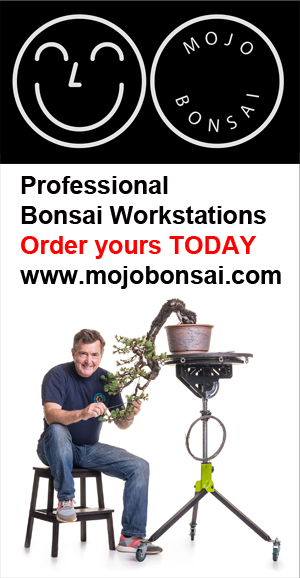 12 months prior to the event I put a call out to the bonsai community to help me stage this ambitious event. 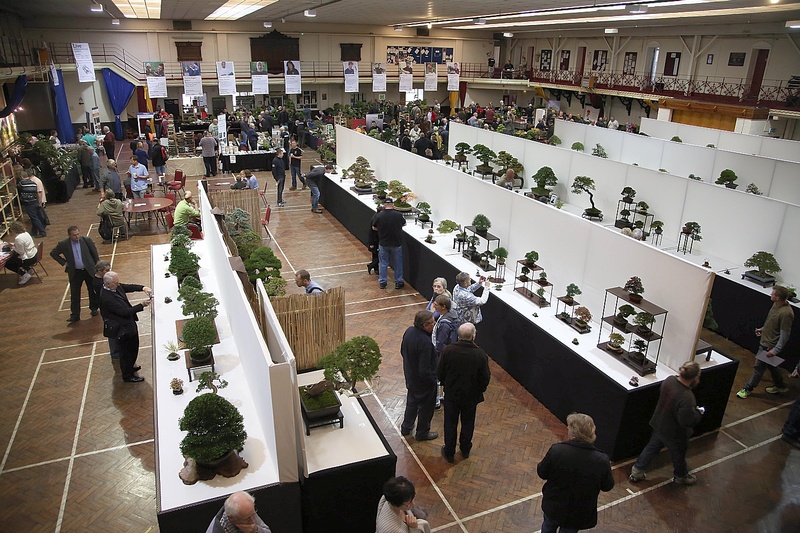 I invited two clubs to rally their members to help, The Wirral and Akamatsu and in return they would stage their own display as part of the overall exhibition. Those that were not in these clubs did not disappoint, a team of 25 volunteers assembled at 8.00am and the build commenced, it was completed at 5.30pm. Over the weekend these same guys played a major role in security, demo assistance, front of house and 101 other duties that arose. And at the end of the event the breakdown… You guys made it a success. Same time in two years? Carolyn thought I was crazy to head off to South Africa three days after Bonsai Europa 2015, and in those three crazy days I was still tidying up some loose ends, paying suppliers and packing away all the staging etc. But being away gave me time to myself to reflect on the event. 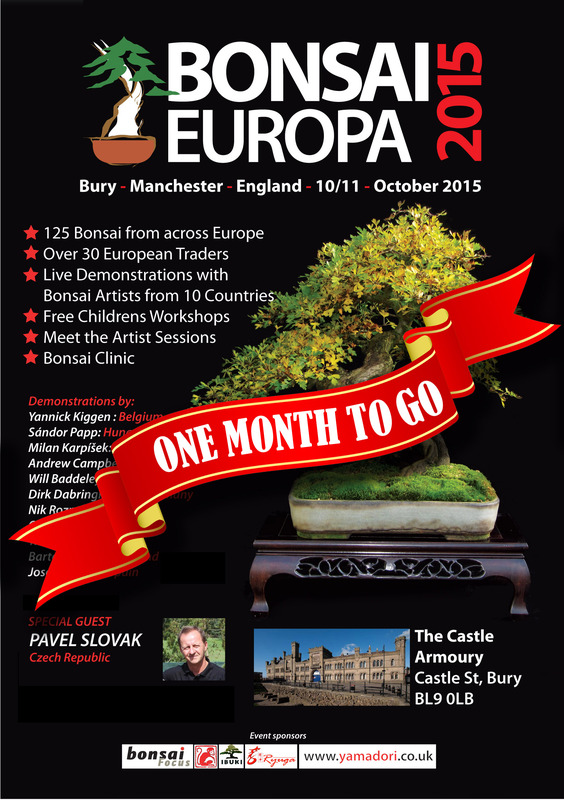 Here are my thoughts on the weekend of 10/11 October and Bonsai Europa 2015. For two years the event has been uppermost in my thoughts, how would I persuade enthusiasts from across Europe to make the trip? will the venue be suitable? Should we have demo artists and who should they be? What about the budget, am I prepared to loose money? Will traders be convinced that I could pull in the punters? Helpers… who could I rely on? So many things to consider before I started to ask for exhibition trees. Very few exhibitions are ‘perfect’ but I wanted to get close, I wanted the exhibition stands to be the correct height and the exhibitors happy with the way the show was curated, I wanted the traders to be happy with their stands and I wanted the demo artists to know that I would promote them and the event. 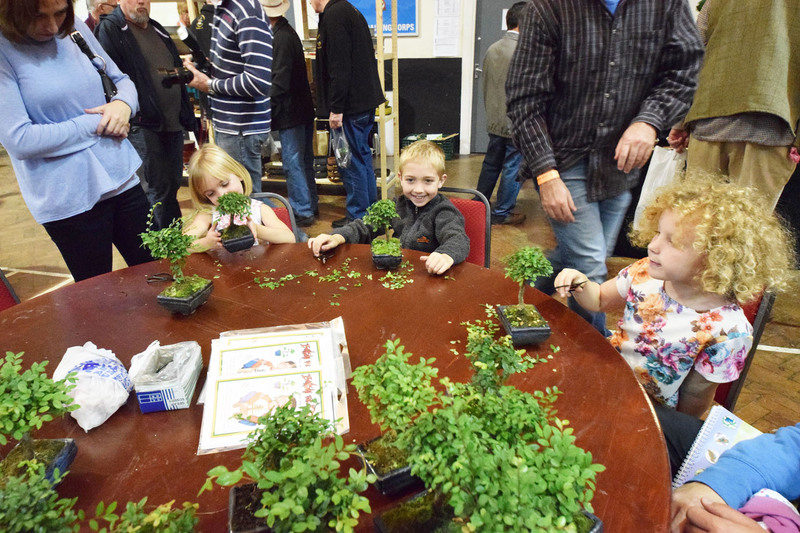 But most of all I wanted everyone to be wowed… wowed enough to come back in 2017, because Bonsai Europa is to be Biennial. I was a guest artist at the Bonsai Triennale, June 2014 at Pillnitz near Dresden in Germany, and there I saw a bespoke staging system created specifically for the Bonsai Triennale, it’s been used a number of times with great success, I copied their idea. Terry Foster (more on Terry later) and I built the system over a number of weekends prior to the show. Along with over 1500 mtr’s of wooden laths and 300 mtr’s of hardboard the display fitted perfectly. The trade stands were in the main room with the exhibition and the demos were in a separate room away from the main hall. Two professional photographers, one studio, one roaming and a Videographer covered the proceedings. My wonderful wife Carolyn headed up her catering team providing hot and cold drinks, home made cakes and hot pies throughout the weekend. The amazing An Simons from Belgium did a great job caring for the kids workshops that took place on both days. Marc De Beule and Chris Thomas were fantastic as master of ceremonies for the demo artists. Steve McKee kept everyone in order and managed security for the event. Stone Monkey created a beautiful Pot for the best in show that was won by Mark and Ritta Cooper for their beautiful Shohin display. Mark Kennerley made some superb wire tree awards for the various bonsai classes. I will single one person out for praise above all others and that is my dear friend Terry Foster. His determination, attention to detail and hard work made my job that little bit easier. 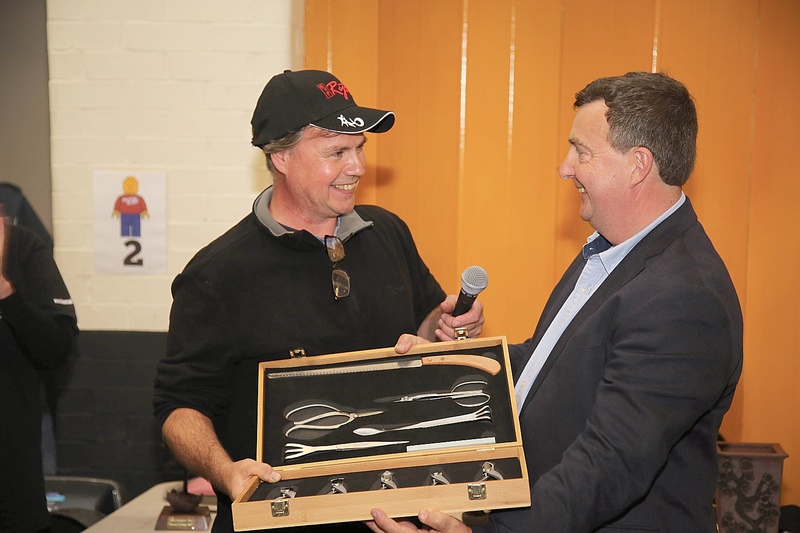 Terry worked tirelessly to make the event a success and for that the UK Bonsai and I owe him a debt of gratitude. 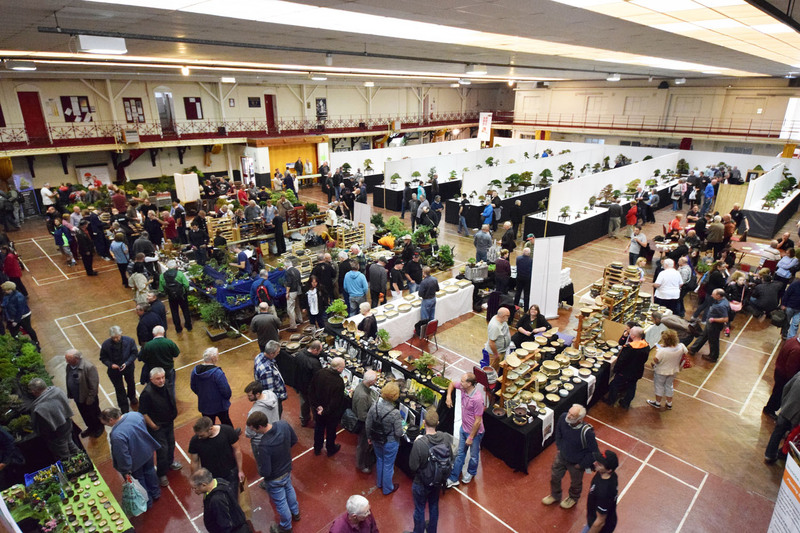 From the feedback I have received Bonsai Europa 2015 was a great success, almost all of the traders want to rebook, exhibitors tell me that Bonsai Europa 2017 is a target to get their trees ready, the volunteers are eager to return and despite the financial burden Bonsai Europa 2017 will happen and it will be bigger and better. Provisional dates are: 6/7/8 October 2017 but don’t book anything yet until the official announcement.